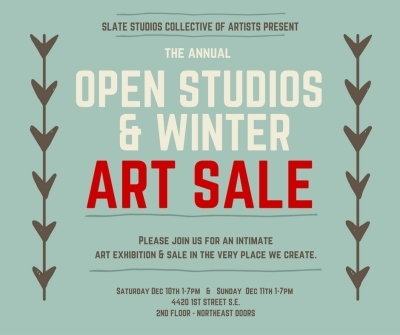 It’s that time of year again… The annual SLATE OPEN STUDIOS & ART SALE is around the corner & myself and the other Slate artists are getting ready to put on a sweet show& sale for ya’ll! Slate has a mix of textile artists, musicians, painters and mix media artists who are all professional by means of their craft and very talented too. It’s a rare chance to come and experience/shop for art beyond the gallery walls and market tables… To experience art in the very place where art is made! Lots of Christmas Gift worthy items and sweet deals on original works of art will be available. Cash and Credit will be accepted and payment plans for larger purchases are also available. and inviting your friends and family! If you’re a little curious about the Brush With Light commission paintings that I’ve been doing as of late, you can find out more via the new website HERE. You’ll also have a chance to visit with me in my open studio days December 10th & 11th 1-7pm for the SLATE OPEN STUDIO ART SHOW/SALE. I’ll be scheduling sessions for one week in December at intro rates for a limited time. 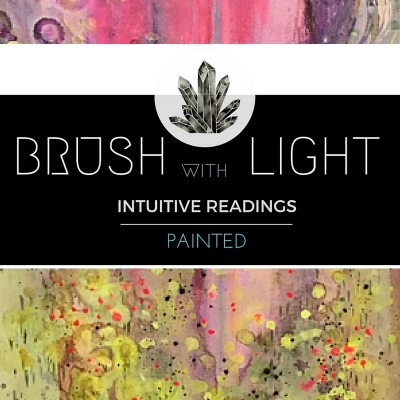 You can follow the BrushWithLight Instagram Page HERE to see some of the channeled works unfold. 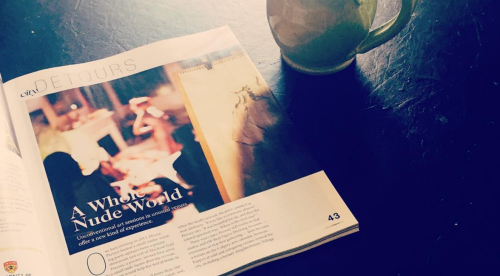 Thank you to Avenue Magazine for their article featuring the monthly cultural event that I host called Off-Beat Figure Drawing. You can read the article via their digital online reader HERE on page 44 or pickup a print publication around town. *Minor miss-quote correction: I was one of the original Gorilla House artists (had a studio and facilitated events there) and I was invited to be a guest curator for an Off-Beat POP-UP exhibition at the CK Gallery. Our next November session is sold out, but you can pre-purchase your tickets to our January Session HERE. It’s going to an AMAZING session featuring guest musician Amy Theissen !